Just about anyone who’s ever watched a child or grandchild go from the crib to kindergarten and beyond has uttered the phrase, “They grow up so fast.” Although you can’t really freeze a youngster’s precious moments in time, you can take steps to make sure that his or her journey to adulthood starts with a sound understanding of money, investments, and personal financial responsibility. Teaching your children to be financially responsible is one of life's critical lessons. As your children mature, you will have many opportunities to teach them about good financial management, from kindergarten all the way to adulthood. STEP 1. Be a role model of responsible money management. Paying off all your bills on time and staying out of financial trouble could set the right tone for the next generation. STEP 2. Teach your children the value of a good education. Talk to them about ”and show them how ” education pays off over the long term. Did you know that a college graduate earns an average of $25,717 more annually than a high school graduate or $1 million over a 40-year career? The gap doubles for those with an advanced degree. STEP 3. 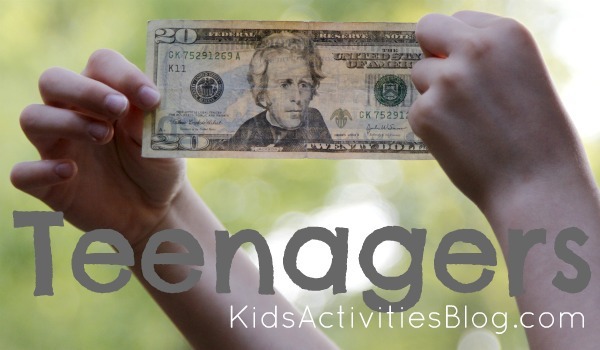 Teach kids how to give, save and spend money. You can use a jar system labeled SAVE, SPEND, SHARE or the premade give, save, spend banks. Upon getting paid for allowance, birthday, Christmas or other occasions and gifts, have the children split up their money to each category and once or twice a year allow the child to choose from a list of ideas where they would like to give their money. STEP 4. Let kids help plan. Give your child a set amount of money and let him help you plan a grocery list, a list of activities to do in one month or where the family should go out for dinner. Practical money skills for life suggests planning a “staycation,” or a week’s worth of day trips in your local area. Ask your child to assist you in planning whether to find less expensive activities for each day or whether to budget for one or two more expensive trips. Older kids can help with household budgeting and bill paying. STEP 1. Shop with your young children and show them how to compare items for price and value. Look at the cost of every-day groceries, such as milk, eggs, bread or macaroni and cheese, or compare the cost of toys. STEP 2. Give an allowance. Giving children an allowance can provide an important first step towards financial responsibility. 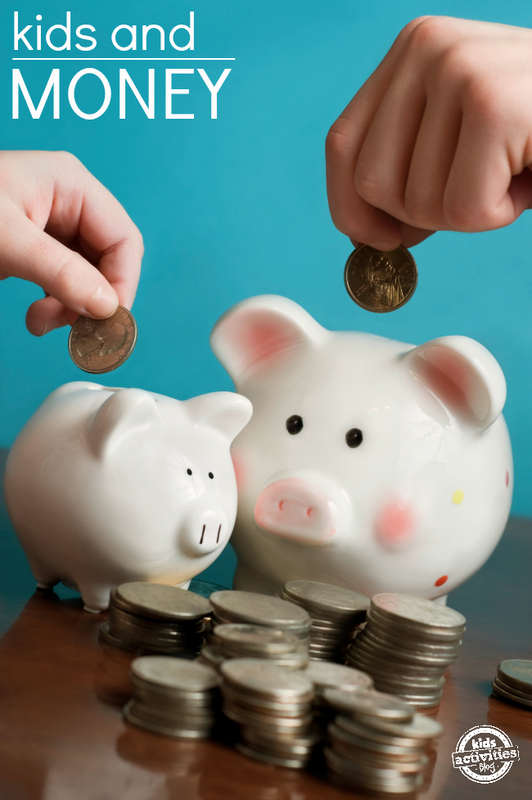 When should you begin giving an allowance? Should there be any strings attached? It's an individual decision. As for when to begin giving an allowance, it's generally recommended once children are in school. STEP 1. Matching contributions. You can give your children an incentive to save by matching what they save. For example, in addition to giving them their allowance, at the end of the year, match the amount they ™ve accrued throughout the year. STEP 2. As your children begin to understand more about money and decision-making, take them through your monthly budget to show them where the money goes and to demonstrate responsible decision-making. STEP 3. Tell stories (real anecdotes) about good and bad money management to convey your monetary values. For example, you could share with them the worst financial mistake you ever made and how you learned from that experience. Or tell them of famous athletes or other celebrities who spent everything they made and then were left with nothing. STEP 4. Play “The Stock Market GameTM” Get online and go to www.smg2000.org. There you’ll find “The Stock Market Game.” Sponsored by the Foundation for Investment Education, it lets kids in grades 4 through 12 assemble and monitor a hypothetical $100,000 portfolio for 10 weeks. STEP 5. Take Stock of Household Products. If your child is old enough to understand the concept of stocks and publicly traded companies, go through the house together and identify favorite items, such as computers and clothing. Then look up the manufacturer’s stock price and monitor it over time. STEP 6. Teach kids how good it feels to earn money by helping them start their own business. They can help collect and price their toys, clothes or other items for a yard sale, clean house or yard work. They can provide animal caretaking services for neighbors and family, write stories or make cards to sell to family and friends or make artwork or jewelry to put up for sale. STEP 1. Teach teenagers how to invest. Discuss the basics with them and consider opening an investment account for them. STEP 2. Open a college savings account for your child and contribute to it. Periodically, check the balance with the child, who can watch the money grow. Similarly, once they start working, provide a kick-start to their retirement savings by opening up and making an initial contribution to a Roth IRA. STEP 3. Work with your older teenagers to start off on a good foot as adults by helping establish a good credit score. List them as a joint account holder on your credit card. Then when they are issued a card on their own, encourage them to always charge a small amount and pay it off each month. – Coin Stampers for Teaching Kids about Money or Used in Motivation Charts – When kids are younger, you can use these fun stamps to teach them about change. 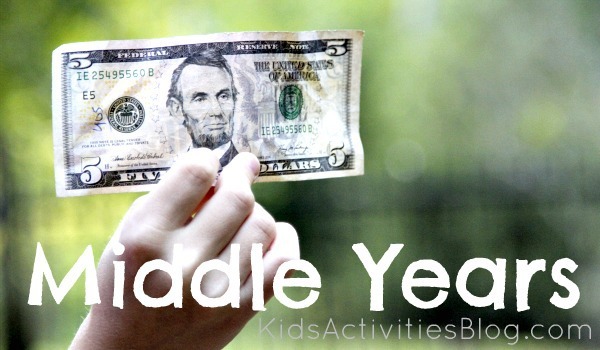 This is a good age to start introducing your kiddos to the value of money. – Learning Resources Pretend & Play Teaching Cash Register – Another great way to teach your kid about money is by using a cash register and fake money. This will allow them to count money, give change and again learn the value of money. – The Opposite of Spoiled: Raising Kids Who Are Grounded, Generous, and Smart About Money -This is a great resource for parents. Read about how to teach your kids to be smart about money. 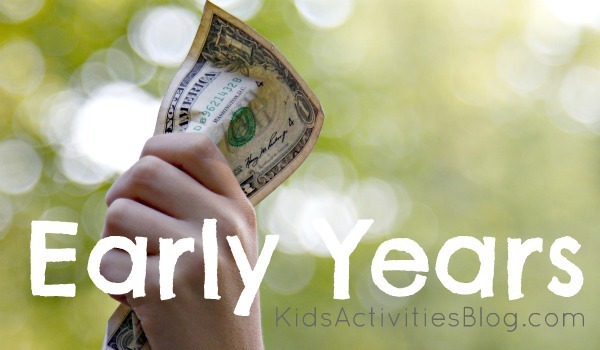 – The Everything Kids’ Money Book: Earn it, save it, and watch it grow! -Here’s a book for kids ages 7-12. It teaches them how to earn money, save it and see how it can grow into more money. Thanks CFO4Life for providing this article. CFO4Life offers individuals and businesses ‘above-and-beyond’ service in investment portfolio management and financial planning. With over 100 years of collective professional experience, their dedicated team of Certified Public Accountants, Certified Financial Planners ®, and MBAs provides personalized and comprehensive guidance for wealth management. This material was created for educational and informational purposes only and is not intended as ERISA, tax, legal or investment advice. (c) Standard & Poor’s Financial Communications. Good article with some sound advice. One thing I would add is to allow your kids to save up their own money for luxury purchases (like toys). Sometimes having to part with their savings can make them think about whether a purchase is really worth it, or a good value. I think setting the good example is the best advice. I grew up in an extremely frugal household. My parents stretched not a lot of money a long way. They didn’t take the time to talk that much about money, instead they showed us how to garden, can, save for purchases, pay off a mortgage early, ect. I’ve taken many of those lessons into my adult life. Great ideas! Will definitely have to implement some of them as the kids get older…..right now they still think a quarter is a lot of money. This is really good advice – now I just need to stop my children being affected by advertising so much. Trying to buy shops own and explain it’s the same as Kellogg’s isn’t working with my 4 year old. Needless to say we went without frosties. this is an excellent blogpost about the importance of an early financial education. I especially like the categories, early-middle-teen, with corresponding age appropriate tips – well done! I’ve read a few excellent stuff here. Certainly worth bookmarking for revisiting. I wonder how a lot attempt you put to create any such fantastic informative web site. it is time to be happy. I’ve read this put up and if I may just I wish to recommend you few interesting things or suggestions. Perhaps you could write subsequent articles relating to this article. I desire to read even more issues approximately it! Either way stay up the nice quality writing, it’s rare to see a great weblog like this one nowadays.. Many thanks an execllent post. The location otherwise may any person get that kind of information such an ideal methods of writing? I get a demonstration following week, exactly what around the hunt for these kinds of data. What’s up friends, pleasant article and nice arguments commented here, I am really enjoying by these. Yes! Finally ?omeone writes ?bout gothic 3 pobierz.